In recent years, we’ve seen a worrying trend developing though. More and more local parties stopped actively recruiting new members. This is concerning – because part of the original intent of the scheme was to help build strong, local teams that would win elections. Since becoming Chief Executive, I am trying to streamline our operations and cut out unnecessary waste. With limited resources, we need to be agile and dynamic, to simplify processes and maximise the time, money and effort we devote to campaigning. At Spring Conference in York, Sir Nick Harvey spoke at a Liberal Reform fringe event asking what now for NATO in the era of Trump, Putin, Brexit and Corbyn. With his kind permission we reproduce his remarks. Please do share your thoughts in the comments. Do Brexit, Trump and the rise of populism in Europe signal a disintegration of western institutions? Has NATO become irrelevant or do we need it more than ever at a time of Russian expansionism? It is a sobering thought that the UK’s real defence spending figure is now below 2% of GDP, and across the EU it is much less. By contrast, Russia spends 5.4% of its GDP on defence. Be in no doubt that President Putin is now involved in a major power play on the global stage. For some, there is no greater symbol of the United Kingdom’s enduring role on the world stage and continued military relevance than the Trident nuclear weapons system. For others, Trident is the last unreformed bastion of Cold War thinking. It is a symbol of a bygone era of fear, instability and sky-high defence spending to hedge against an unpredictable Soviet threat. Despite the Cold War ending; Russia and the UK de-targeting one another; multiple treaties the UK has signed up to committing to a reduction in nuclear weapon stockpiles; and a £100bn price tag which will in time account for 10% of the MoD’s budget while our Armed Forces are in desperate need of updated kit; the Tories and Labour both refuse even to entertain the notion that the status quo might reasonably be questioned. As evidenced by yesterday’s news, they instead choose to scaremonger and point-score over what might be traded in a future coalition. Top military chiefs have also expressed their disdain at the recent headlines. The two parties are prioritising the impressive feat of kicking around the country’s most expensive political football, rather than participating in a rational conversation about whether the assumptions upon which like-for-like replacement rests are logical or relevant to the threats Britain faces today. Today in the Commons I sat through impressive speeches from across the benches echoing concerns about the UK’s expenditure on defence – principally, our predicted failure to meet NATO’s 2 per cent of GDP target on defence spending in the approaching financial year. There was little expectation that defence would become a big election issue, but less than two months ahead of polling day all the parties share the headache that a commitment to maintaining the 2 per cent target looks frankly impossible. With the assumption that further cuts will have to be made across the board, there are serious implications for the kind of role the UK wants to play in the world and how we are going to defend our global interests. Today in London the UK’s foreign and defence secretaries, Philip Hammond and Michael Fallon, will meet their French counterparts, Laurent Fabius and Jean-Yves Le Drian. Of course, there is nothing particularly out of the ordinary about this meeting: in reality, UK and French Ministers meet frequently at various EU and NATO summits. Jeremy Thorpe’s funeral was held last Wednesday at St Margaret’s Church, Westminster. It was attended by around 400 people including all five leaders of the Liberal party and the Liberal Democrats who succeeded Jeremy Thorpe: David Steel, Paddy Ashdown, Charles Kennedy, Ming Campbell and Nick Clegg. There was a gathering afterwards at the National Liberal Club. The following tribute was delivered at the funeral by Nick Harvey MP, and is reproduced here at his suggestion. It is a great honour to be asked to say a few words today about the political life and times of Jeremy Thorpe, though I do so with considerable humility as many present here witnessed and lived the Thorpe era first hand, whereas I was still at school at the time. To describe Jeremy’s footsteps as giant ones in which to follow in North Devon would be a huge understatement. Nick Harvey MP writes… Robert Gates poses stark defence question to UK: Do we want to be a real military partner or a nuclear power and nothing else? Former US Defence Secretary Robert Gates was on Radio 4’s Today programme this morning decrying the UK’s defence cuts. He said the squeeze meant the UK could no longer be a ‘full spectrum’ military partner of the US, acknowledging that our relationship with the US has been fundamentally altered. A sceptic would quickly dismiss the comments of a man currently promoting his memoirs, but Gates makes a wider point about what exactly we want to be doing with a smaller defence capability. This is a truncated version of a speech delivered at RAND last Thursday. The full speech can be read here. The UK has maintained at least two Frigates or Destroyers in the Gulf and Indian Ocean region since 1980. They now contribute to the Coalition Maritime Force based in Bahrain and comprised of sailors and ships from 25 nations. Our 2005 Manifesto stated that one of our priorities was to look after our Armed Forces so they can look after us. At a time when our forces are committed to fighting on two fronts, as well as operations around the world, this holds just as true now as it did three years ago. 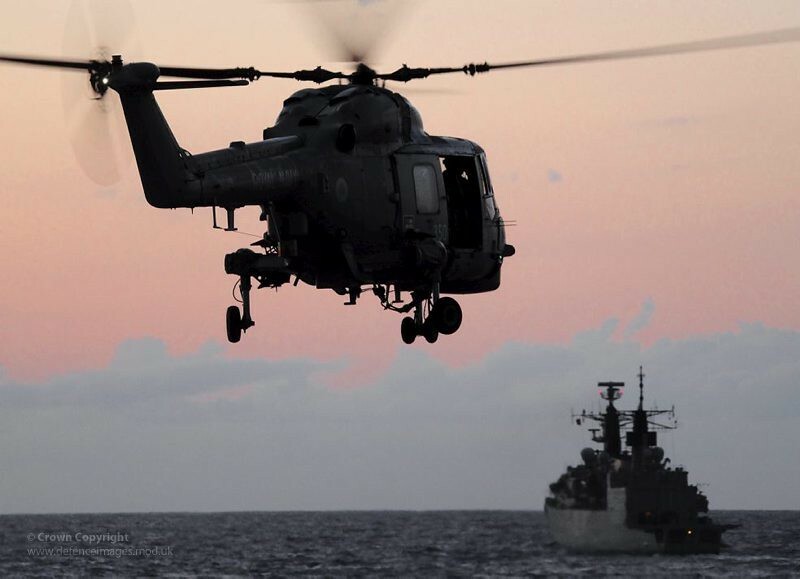 With continued operations around the world, defence remains at the top of the agenda and it is essential that the Government’s ‘duty of care’ to service personnel is fulfilled. All rational people must be sincerely and passionately committed to ridding the world of nuclear weapons, so destructive is their potential. The age-old debate is about how best to do this. The FPC motion for Harrogate is a combination of the best traditions of unilateralism and multilateralism. For the first time in a decade the Party is proposing a radical reduction in the size of the British nuclear deterrent. By unilaterally cutting Britain’s nuclear weapons by 50% yet keeping our seat at the table, we have the best chance of driving forward a multilateral disarmament agenda. Cutting our nuclear stockpile in half now would send a positive message to non-nuclear or aspirant-nuclear states that Britain will live up to its obligations under the NPT. It puts nuclear disarmament back on the international agenda, and commits Britain to leading preparations for the 2010 NPT review conference – as Robin Cook did running up to the productive 2000 conference. Labour failed to capitalise on that momentum – not least by supporting Bush in Iraq and tarnishing our reputation as an honest broker.